Welcome to The Total Woman Online Book Club! Evang. Tashara Luster for an entire year. I want to teach you personally How to Become The Total Woman! 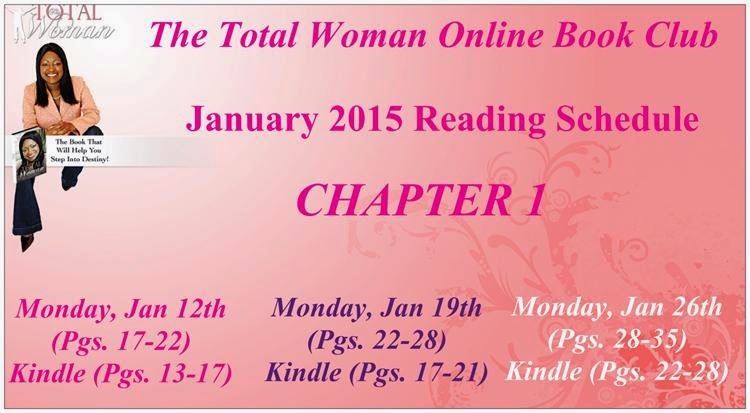 The Total Woman Online Book Club starting Monday, January 12th 2015! 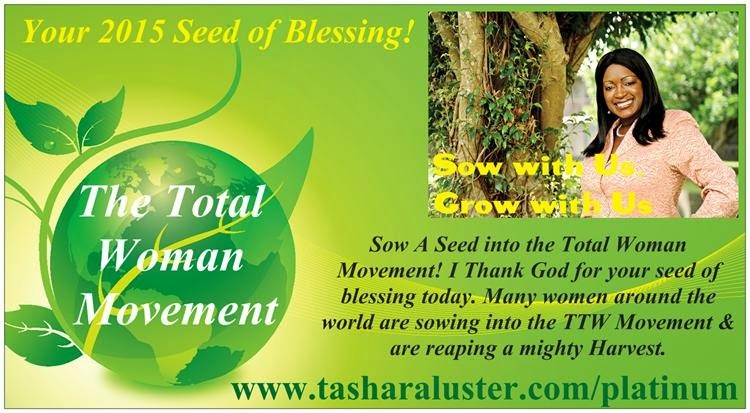 Sow A Seed Into The Total Woman Movement! I thank God for the women who think it not robbery to sow into my life, as I become your Mentor & Life-Coach for the Year 2015! I am dedicating my life, time, gifts, & anointing to walk with you & teach you for an entire year on how to become The Total Woman! I am doing this Total Woman Online Book Club Free of Charge. This is my way of sowing into your life, purpose, and destiny! I am grateful that you have decided to sow back into my life and this Movement with your seed of blessing. Any amount would be a blessing, no amount is too small! This can be a One-Time Seed, or a Monthly Contribution! If you need a Breakthrough in your life in the Year 2015, then stand with others and sow your faith seed of $215.00! For those who need Supernatural Transformation in their Business, Marriage, Ministry, Health, Finances, and any other area of your life that is barren, stagnant, & stuck, then stand with others and sow your sacrificial seed of $2,015.00! Thanking God in Advance for your obedience and for the Miracles, Blessings, Resources, Abundance, Increase, & Newness in your life! I want to answer your pressing questions about life, relationships, womanhood, destiny, purpose, and whatever is concerning the women of today. Questions will be answered during the teachings of the Total Woman Online Book Club! Email me the topics and questions you want to discuss and need answers to! Let’s open up the dialogue about the issues that plague the lives of all women. During The Total Woman Online Book Club, I will be interviewing remarkable women who will be sharing their life stories. If you have ever felt alone or that you are the only one, then the Woman 2 Woman Talks will let you know that there are other women who have gone through and survived what you are now going through. We will share, laugh, & cry together, but most importantly, we will heal together, so that we can be made whole. 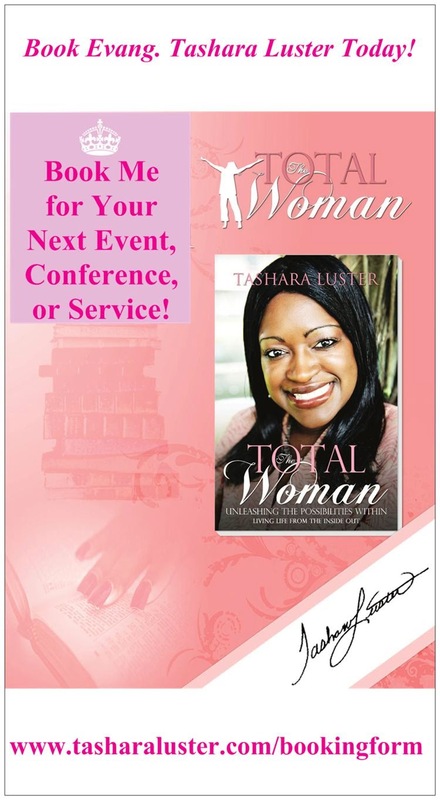 Host A Book Signing or Total Woman Event! What Better Way to Show Your Love for Your Mother, Daughter, Sister, Friend, or Family Member than to Give her this Book that will Help her Become The Total Woman that she was Meant to Be! Start Reading Today! You don’t want to miss this amazing opportunity in 2015 along with thousands of other women from around the world who are excited about being mentored by Evang. Tashara Luster for an entire year. 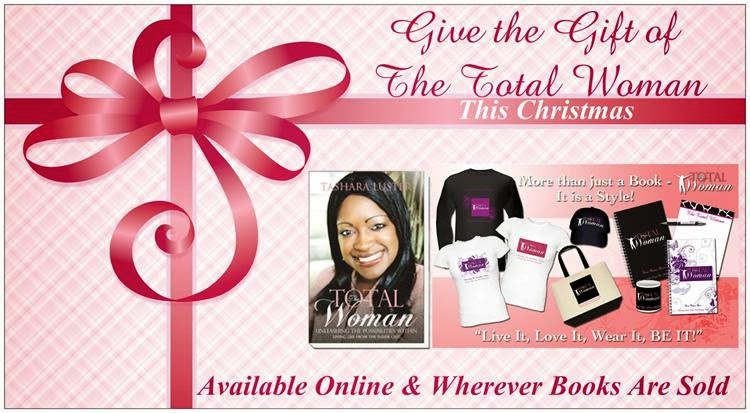 If you don’t have the book, Don’t Wait Another Day… Order The Total Woman Book Today! Go Ahead & start reading this life-changing book so that you will be ready for the Total Woman Online Book Club starting Monday, January 12th 2015!